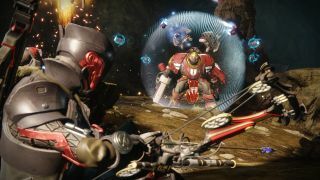 Destiny 2: The Black Armory is a week away, but before that we've got a juicy new Destiny 2 update to experience. Today's patch, version 2.1.0, delivered many of the fixes and improvements promised earlier this month, on top of some highly requested buffs and nerfs. However, some changes are still scheduled to arrive alongside The Black Armory on Tuesday, December 4. Plenty of Exotics have been fixed as well. The highlight is Ursa Furiosa, a troublesome pair of Titan arms. It's been tweaked so that "super gain from guarding is more consistent between PvE and PvP," Bungie says. Ursa Furiosa has been absurdly overpowered in PvP for months, providing functionally infinite supers if you can block even a little bit of damage, but it sounds like this change has finally reigned it in. Additionally, the reload buff granted by Lunafaction Boots now applies to the entirety of Well of Radiance instead of just the first 15 seconds. Ace of Spades is the headlining Exotic weapon to be changed. Its unique perk, Memento Mori, now provides five buffed bullets instead of six, but now you can refresh your Memento Mori rounds without needing to fire all of them. This is a buff in my eyes, as it will make Memento Mori much more consistent. Meanwhile, the damage on Prometheus Lens has been buffed by 10 percent, which is ironic considering it released in a bugged (and hysterically) overpowered state. No Telesto nerf, though, for those who were hoping for one. However, an infamous non-Exotic has been nerfed: the Escalation Protocol Ikelos shotgun, long hailed as the best PvE energy weapon. Its unique perk, Trench Barrel, now expires after three shots. This will bring the Ikelos shotgun in line with other shotties, and more importantly, it should open up PvE weapon diversity. To prepare for The Black Armory's release, new heavy machine gun medals and Triumphs, as well as tiered ranks, have been added to Crucible. As part of the Season of the Forge, new pinnacle weapons have also been added to Crucible, Gambit, and the Vanguard (Strikes). Gambit received some balance changes as well: the catch-up component of the Primeval Slayer buff was toned down so that the second team to summon their Primeval only receives one stack of the buff. This should make summoning your Primeval first less punishing. Perhaps most importantly, activity and destination loading times have been dramatically improved on PS4 and Xbox One. Bungie says it's still "actively investigating" inventory load times, which are another soul-crusher on console. But fixes are fixes, and shorter queues are a good start. You can read the full patch notes for patch 2.1.0 here. We spoke to Bungie about how the annual pass will change the way Destiny 2 does DLC.